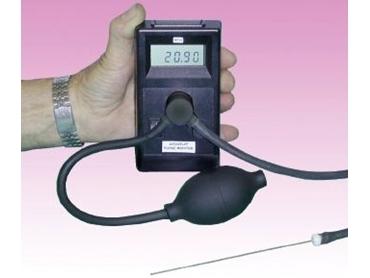 Measures oxygen levels to 100ppm. A NEW low cost purging monitor is being introduced to the Australian welding marketplace from June 1, to monitor the oxygen levels in the welding zone. Available from Pinches Consolidated Industries , the new monitor measures and indicates oxygen levels down to 0.01% (100ppm). It is ideal for the welding of stainless steel to ensure that welds are bright and shiny and free from coking or oxidation. The instrument is handheld, battery powered and portable, making it easy to use in the workshop or out on site. This model has been successfully test marketed in various countries including the United States, Canada and some European countries.